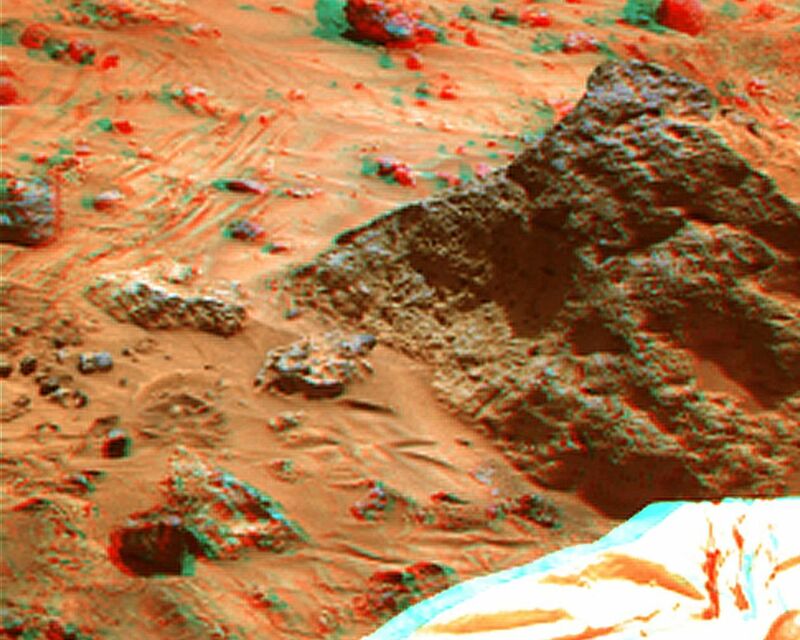 Mini Matterhorn is a 3/4 meter rock immediately east-southeast of the Mars Pathfinder lander. 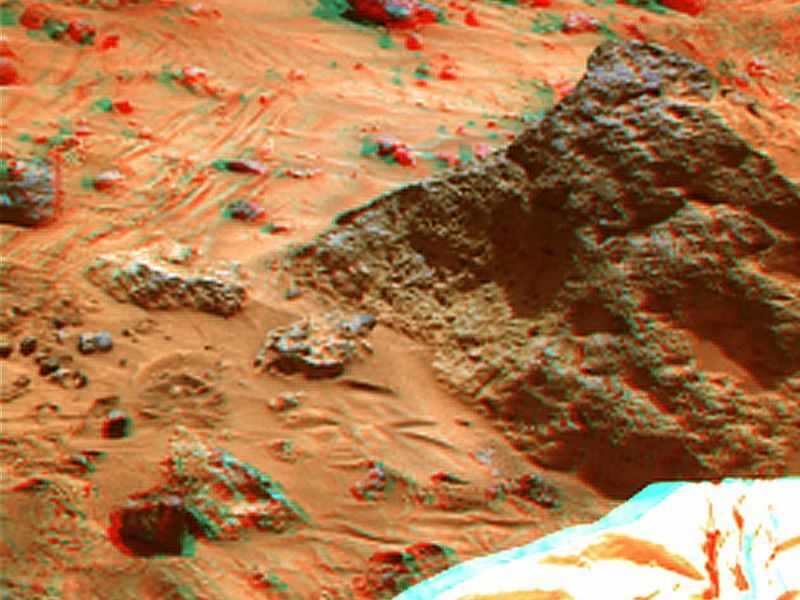 This view was produced by combining the "Super Panorama" frames from the IMP camera. 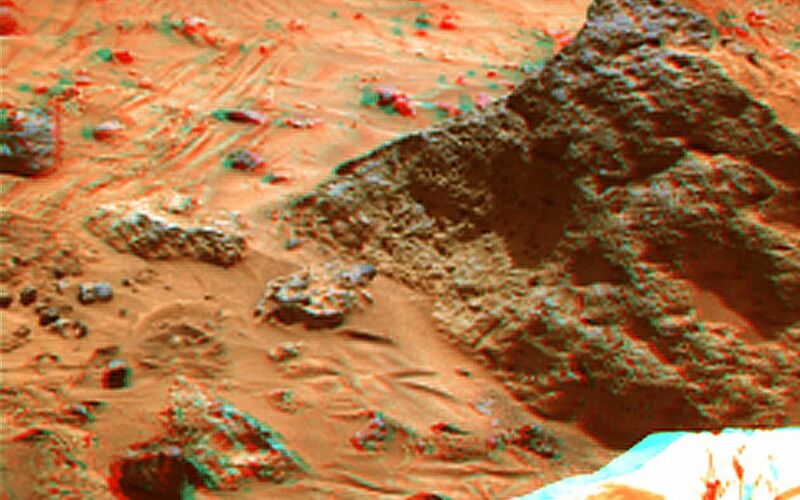 Super resolution was applied to help to address questions about the texture of this rock and what it might tell us about its mode of origin. 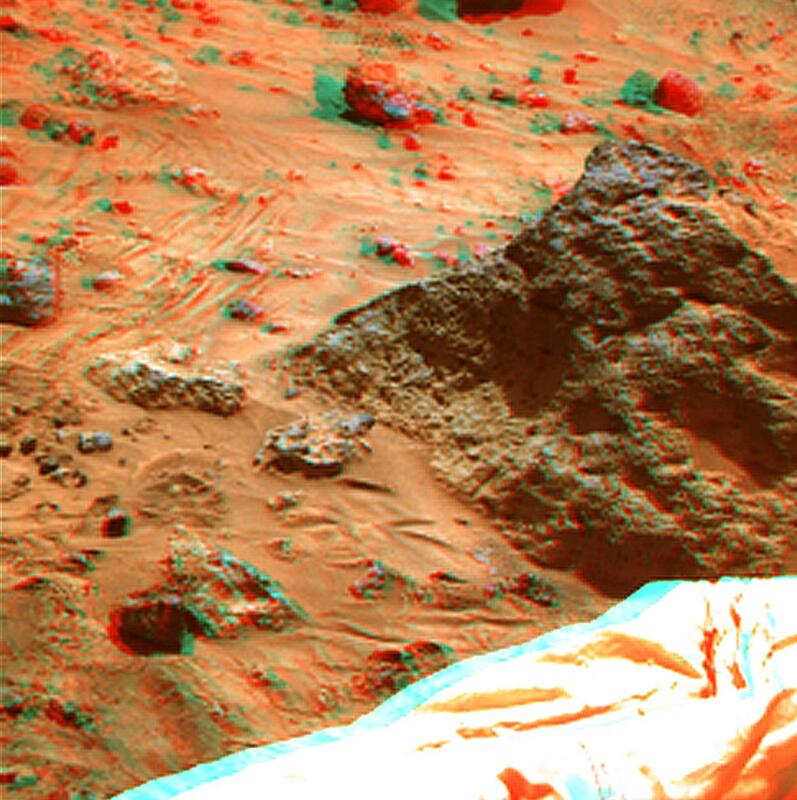 The left eye and right eye panoramas from which this anaglyph was created is available at PIA02405 and PIA02406.